I'm so into The Musical Korean Drama. Uploaded online is just Episode 6, because sadly, they're just doing one episode per week. It feels like doing a Christmas countdown for all the slated 16 episodes. I'm now into the whole musical per se. Anyway, I've been googling over and over for just any updates on episode 7, or just about any drama related buzz. Until, I came across Ohk Joo Hyun, she's doing Bae Kang Hee in the drama. Apparently, her star prowess as a lead musical artist in the drama, is not unfounded. It's actually what she does best, singing and doing musicals. It's now a song that's playing over and over in my mind, lss (last song syndrome) big time! ;-D It's a song done by Lea Michelle and Chris Golfer's Glee Characters, Rachel Berry and Kurt Hummel. 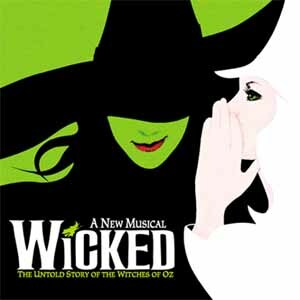 Which happens to be a signature broadway song done by Idina Menzel (Rachel's Biological Mom in Glee) and some parts with Kristin Chenoweth (also in Glee as April) in the Wicked Musical. My nephew is a big fan of the Wicked Musical!